Hi, everyone. 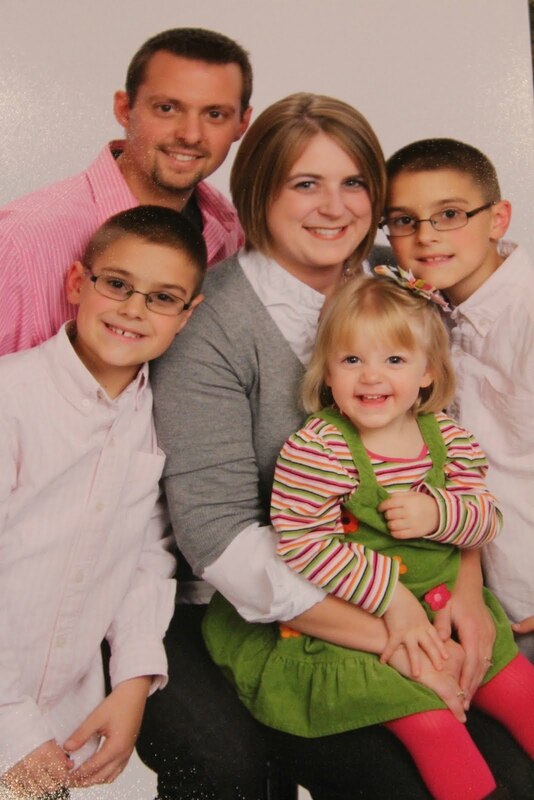 My name is Carrie, and I blog over at My Favorite Finds. Since we moved into our dream home two years ago, I’ve been busy making it into a home. Room by room, we choose paint color, and then I craft and decorate according to what we’ve chosen. I really strive to make it a haven…a comfortable, welcoming place for our family and guests. Right now, one of my favorite rooms is our laundry room. Strange, right? Well, since I spend so much time in there, I decided to paint it a cheery color. Then, I adorned the walls with some framed artwork my children brought home from school. Other rooms I enjoy decorating is our children’s rooms. For example, my daughter’s room. She has several, one shown below, monogrammed pieces in her room. 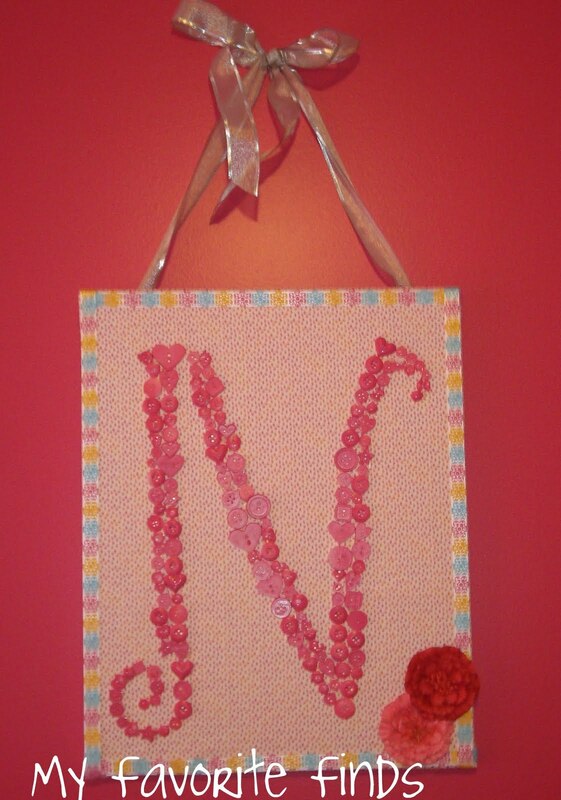 Above her closet is her name, “Natalie”, in bright pink wood letters, accented with buttons to tie into the large canvas monogram I made below. Finally, photography is an important element of our home decor. For example, the mod podged photo I canvassed this past summer. 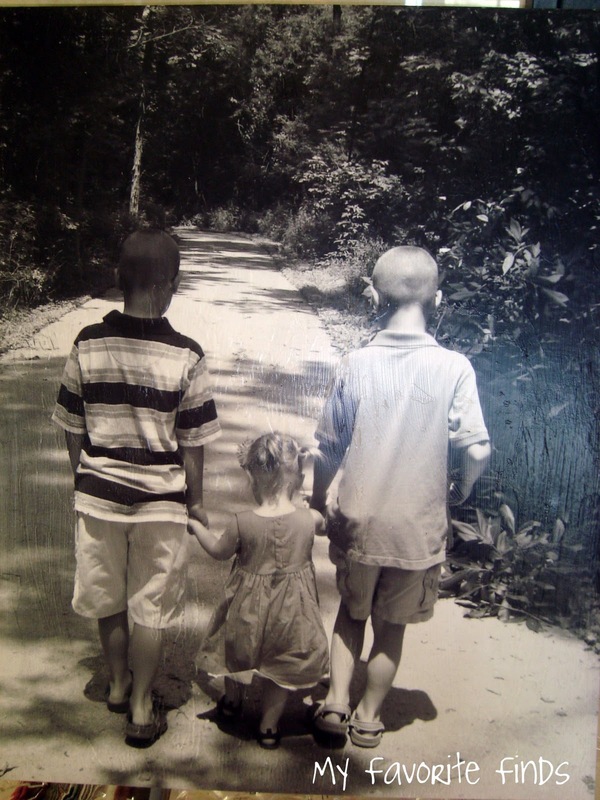 I would love for you all to stop by my blog sometime. I share the joy in everyday things through recipes, crafts, and home organizing tips. XOXOXO! 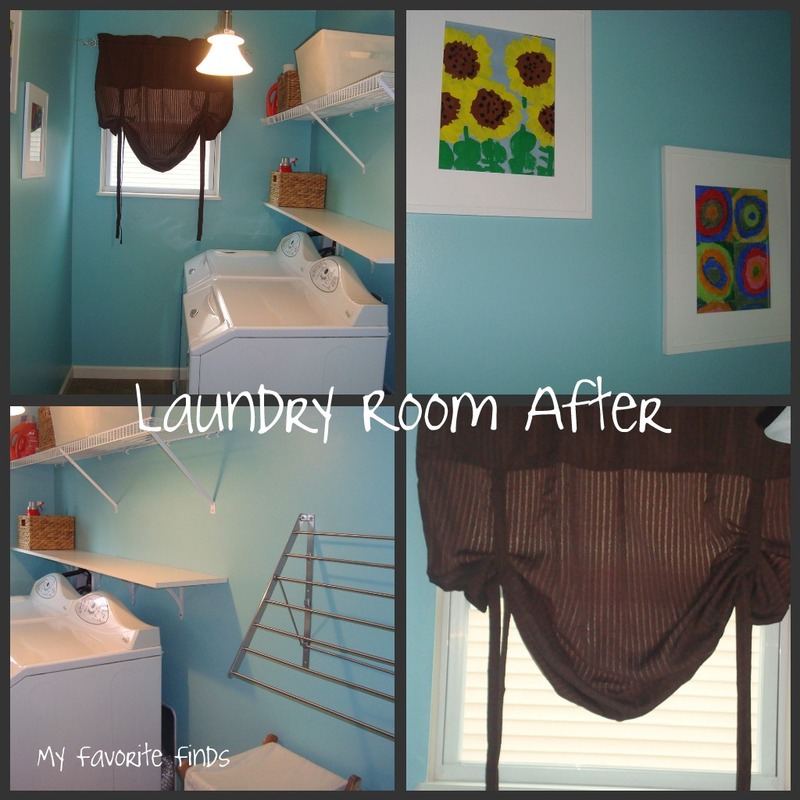 i LOVE your laundry room! i hope to get to ours sometime… the cinderblock walls could use some real help! i'd love to do laundry in yours! your kiddo's artwork does really lighten it up!